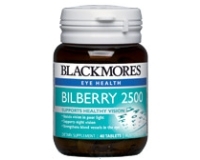 Blackmores Bilberry helps maintain eye health by supporting healthy function of the retina. It also helps to improve night vision and assists the eye to adjust in poor light. Bilberry may help reduce the risk of damage to the microcirculation of the eye. Standardised potency, containing 6.25 mg of anthocyanosides. Bilberry may be of benefit for those working intensely with their eyes, eg airline pilots, students, computer terminal operators and night drivers; or when doing fine detailed work. 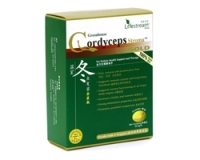 Adults - Take 1 tablet 2 to 4 times a day, or as professionally prescribed.